Traditional Offset produces quality results with precision colour management preferred by companies and organizations whose presentation in its printed form is part of the overall image being marketed to its clients. Full colour digital printing is not as colour sensitive as offset but still has a result that is flexible when it comes to quantity and timing so great for short runs. We use only the best Heidelberg printing presses for quality printing. We print one, ﻿two﻿ or four colour colo﻿ur process and we match corporate colours using specific PMS Colours. To enhance your printing add varnish, embossing or foiling. 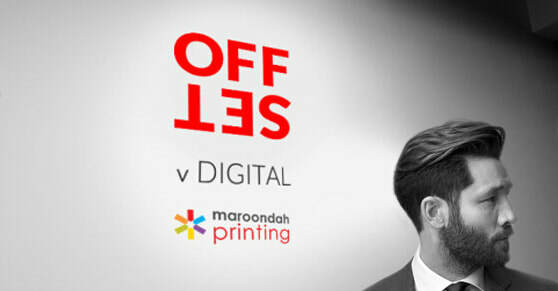 We pride ourselves on quality digital printing, colour or black & white. Smaller quantities are done on our Xerox Digital Printers as either ﻿Full﻿ ﻿Colour﻿ or Black & White or a combination. All printing, numbering, binding and finishing is done on the premises. This ensures﻿ fantastic﻿ quality and delivery on time. BEST Value: Short Run booklets, newsletters, brochures, posters, flyers, postcards, books from small up to A1 size.